Just a few weeks ago I waxed culinary poetic regarding the newish PierBurger. It's a fascinating spot for a multitude of reasons. First, they make a tasty, affordable burger. But above all, it's located on the somewhat ghastly Santa Monica Pier - an area so congested with tourists sometimes it feels like there isn't enough available air to breath (despite being on the PACIFIC OCEAN). 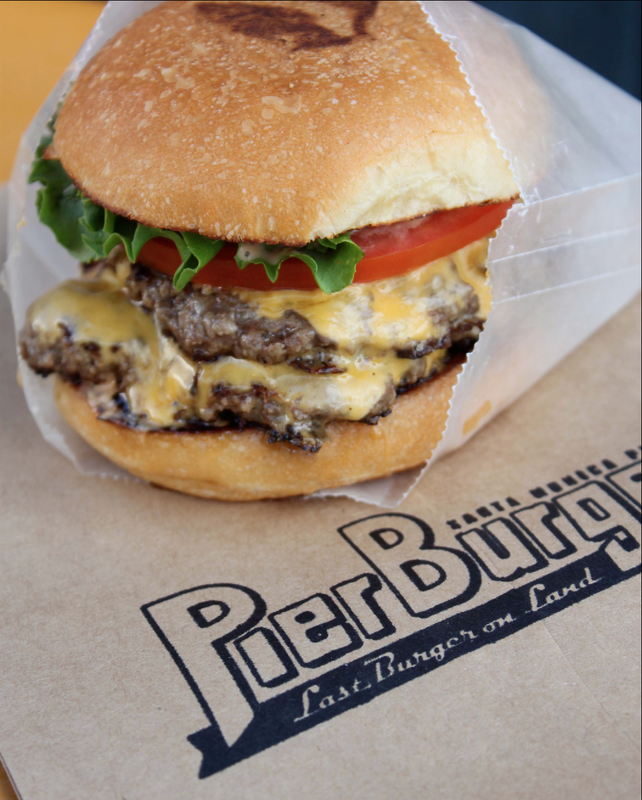 From my PierBurger fascination arose an inquiry or two... Why ever would someone take the time to open a quality fast casual dining destination on the SM Pier when we all know sightseers will pretty much eat anything you chuck at them? 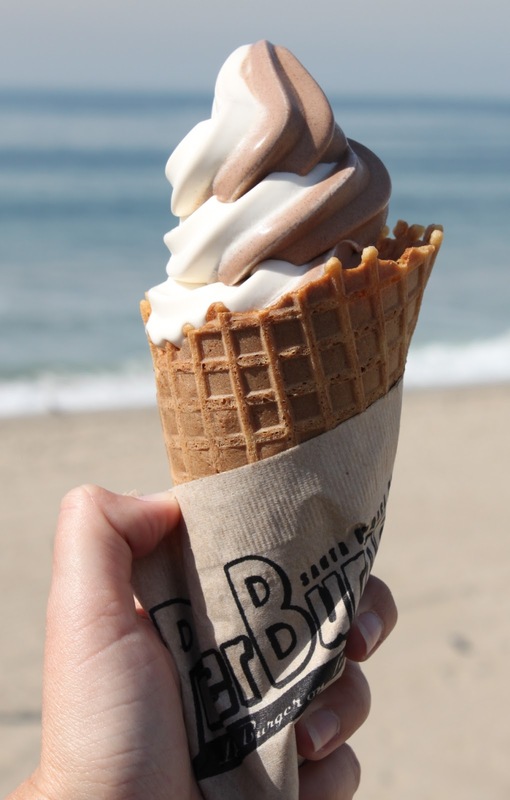 And when was the last time a local went out of their way to eat on the Santa Monica Pier? 1. Where did the idea for PierBurger originate? It’s a simple equation: Santa Monica Pier plus Delicious Burgers equals PierBurger. Seriously, we’re pretty fanatical about burgers. Collectively, we’ve been to hundreds of America’s great burger joints, and were inspired in different ways by a lot of them. We’ve chosen to keep it simple: a great burger, crispy fries (fried in peanut oil) and frozen custard made from real Wisconsin dairy. 2. In a city saturated with good burgers what do you think enables PB to stick out? We’re the opposite of ‘fancy pants.’ We think our burger stands out in its simplicity. Five ingredients, each selected with care: 100% Certified Angus beef, locally baked potato bun, a big slice of really ripe tomato, fresh green leaf lettuce, and homemade sauce. Simple and delicious. 3. Who do you consider your clientele? Local burger enthusiasts like myself or Pier tourists? Or both? Six million people visited the Santa Monica Pier last year, so, as you can imagine, we get our fair share of out-of-towners. That being said, guys like you have been spreading the word, and over the last six months we’ve developed a lot of local friends (and fanatics). 4. What other LA burgers do you enjoy? I think the burger I grill at home is a close second to PierBurger. But, when I don’t feel like grilling, I go to In’N’Out, Apple Pan, and The Counter. 5. Will this be the only PB or is expansion a possibility? The menu offers burgers, fries, chicken sandwiches, frozen custards, soft serve and more. Ok, here in San Diego we have IB pier, OB pier, Crystal pier, and Oceanside pier. None have dining facilities on them, but lots of space nearby. How close is good enough to still be a PierBurger? That picture of the burger is killing me. 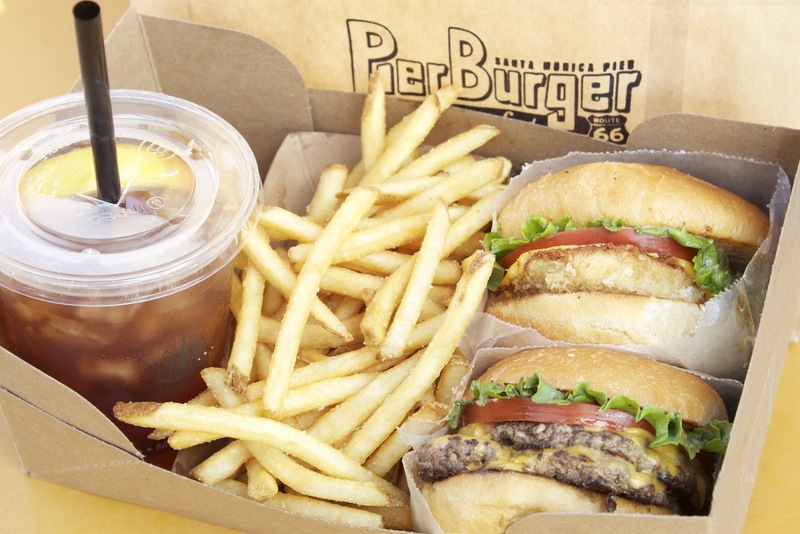 Was having car serviced in Santa Monica so had shuttle drop me off at foor of pier so I could try Pier Burger without shelling out $8 for parking. Ordered a single cheeseburger and it was good -- loosely formed, nice char. Fries were fine. Saved room for a simple chocolate "concrete" for dessert and it was wonderful -- thick, solid, rich frozen custard that mostly stayed frozen for my spoon with some melty parts around the edges. Compared nicely with the concrete I got a few days ago when visiting St. Louis at Ted Drewe's, though alas Pier Burger did not offer malt to mix in. I heartily recommend these concretes to anyone visiting the Santa Monica Pier or Ocean Avenue. Even the price wasn't horrible, if I remember correctly, a shade under $5 for a very satisfying portion, probably around 16 oz or more. Jon - You have some solid burgers in SD, no? Nicky Rotten's? I had a burger there four years ago and still crave it to this day! Anonymous - Thanks for reading and checking out PB. It's definitely a good, affordable option. Haven't tried the concretes yet, but it's certainly on the agenda.